The vertical farming technique offers speedier supply chain for seedling production and with an eight-week turnaround time of seedling ordering system. These systems will help farmers to meet the growing demand and offer promotions and special offers to consumers in the US market. The increasing focus on plug development and reduced shrink of plants will encourage companies to introduce innovative technologies in the market. The US vertical farming market is driven by the movement of agriculture toward a more sustainable model. The use of layout and workflow optimization will enable proper optimization and highest labor efficiency in the US market. The market research report provides in-depth market analysis and segmental analysis of the US vertical farming market by growth systems, environment, and technology. The report considers the present scenario of the US vertical farming market and its market dynamics for the period 2019-2024. It covers a detailed overview of various market growth enablers, restraints, and trends. The study covers both the demand and supply sides of the market. It also profiles and analyzes the leading companies and several other prominent companies operating in the market. The growing need for sustainable agricultural operations that reduces the adverse impact on the environment will fuel the growth of the vertical farming market in US. The exponential levels of environmental pollution and production intensification with a monumental impact on earth's resources will drive the need for sustainable agricultural practices in the US market. The inefficiencies in the supply chain amplify the scarcity effect and negatively impacts the harvesting, processing, and transportation process in the market. The implementation of vertical farming will reprocess inputs and uses resources sparingly, thereby maximizing sustainability in the vertical farming market in US. The introduction of harvesting robots, automatic seed planters, and greenhouse roof washers to reduce operating costs and boost revenues in the vertical farming market in US. The automating plant movement includes unit tasks of transplanting, seeding, transplanting, packaging, harvesting, and cleaning which are gaining immense traction in the US market. The increasing popularity of kitchen gardens that is fueling the concept of on-site farming is augmenting the growth of the vertical farming market in US. Kitchen gardens are cropping up everywhere from the lush countryside to resorts to gastropubs to community initiatives in the market. The increasing number of CSR activities that help to reduce pollution, energy consumption, and carbon footprint will propel the development of the vertical farming market in US. This market research report includes a detailed segmentation of the market by growth systems, environment, and technology.The US vertical farming market by growth systems is categorized into hydroponics, aeroponics, and aquaponics. Hydroponics segment dominated around half of the total market share in 2018, growing at a CAGR of more than 22% during the forecast period. The use of hydroponics enables long-term cultivation of a wide range of crops in the market. The recent developments in the field of hydroponics to cater to the casual indoor grower, simplifying technology and economics is boosting the growth of this segment in the US market. Aquaponics is gaining ground is by eating into Hydroponic produce's market. The latter system has gained a bad reputation with chefs given that its resulting produce has tasted either watery or has a strong flavor profile that is limited to only one flavor as opposed to a balanced one. The environment segment in the US vertical farming market is divided into indoor and outdoor. The outdoor segment is the fastest growing sector in the US market, at CAGR of approximately 26% during the forecast period. The increasing adoption of the local food movement and growing demand for fresh produce is fueling the growth of the outdoor segment in the US market. Restaurants, housing complexes, schools, and supermarkets are using outdoor vertical agriculture practices to offer nutrient-rich and fresh produce in the US market. Indoor vertical farming has primarily made more sense in resource-starved countries such as Japan (where the 2011 tsunami led to the meltdown of a nuclear power plant and contaminated its farmland); Singapore and Netherlandswhere arable land is scarce. In the US however, the issue of urban density is not so prevalent and while there is a resource crunch, vertical farming is unlikely to have a as disruptive an effect in the agricultural supply chain atleast in the stage it currently is. 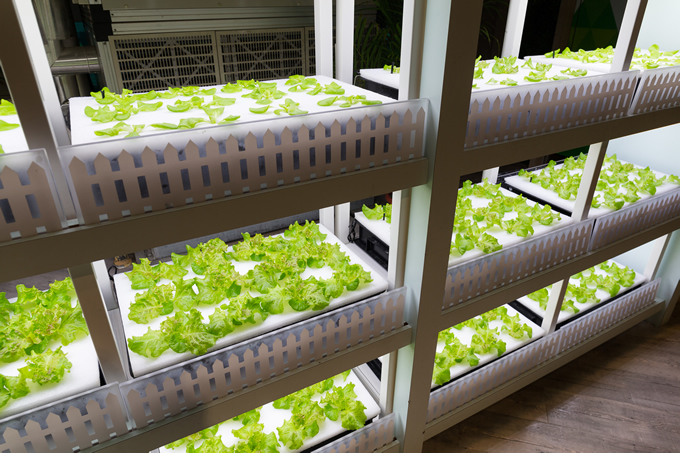 The US vertical farming market by technology is segmented into lighting devices, software, growth mechanism components, climate control, and sensing devices. Lighting devices occupied more than 1/3rd of the total market share in 2018, growing at a CAGR of around 24% during the forecast period. The development of customized lighting systems for research testing,top-lighting, inter-lighting, and tissue culture is augmenting the growth of the lighting devices segment in the US market. The increasing focus on using moisture sensors and GPS enabled tractors that aims to produce food sustainably and profitably in the US market will fuel the demand for LED lighting systems in the market. The US vertical farming market is highly fragmented, due to the presence of a various number of technology providers and produce providers. The prominent players are focusing on increasing efficient operations and good marketing to expand their businesses across countries in the world market. Smaller companies are integrating automation and other technologies to sustain the level of competition in the US market. The integration of data and analytics, sensors, and app-based technology to optimize the environment, keep a tab on the health of the crops, post-harvest technology, management of nutrient supply, and other such factors will drive revenues in the US vertical farming market.